The Westminster Arcade, also known as the Arcade Providence in Rhode Island was built in 1828 as the first indoor shopping mall in America. In 2012, Northeast Collaborative Architects created an adaptive reuse project that included 48 affordable Micro Lofts and 17 Micro Retail shops. 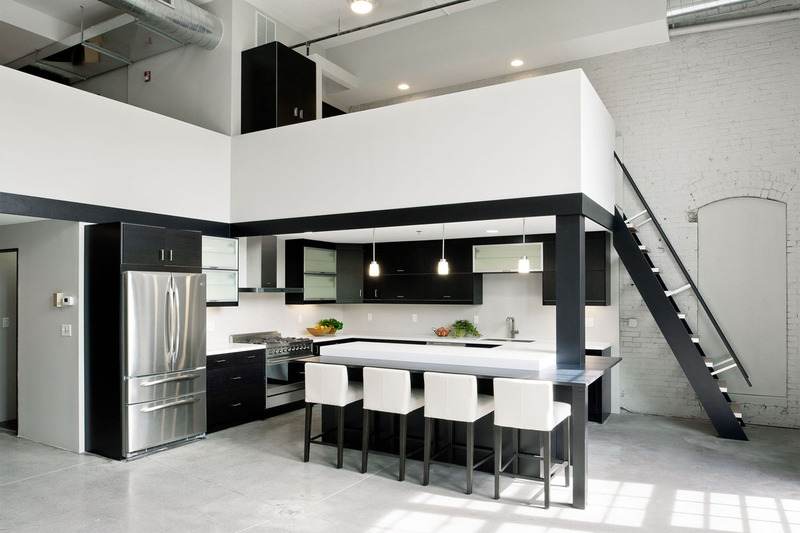 This elegant modern private residence is the former Boiler Room of the Lebanon Mills manufacturing complex in Pawtucket, Rhode Island. Designed by Stack + Co., the three-level 1,654 square foot home with two bedrooms and two bathrooms also has an 1,287 square foot office space for the owner. Filed Under: Apartments, Modern Interiors Tagged With: Contemporary Style Loft, Minimalist Design, Minimalist Home, Modern Loft, Pawtucket, Rhode Island, Stack + Co.